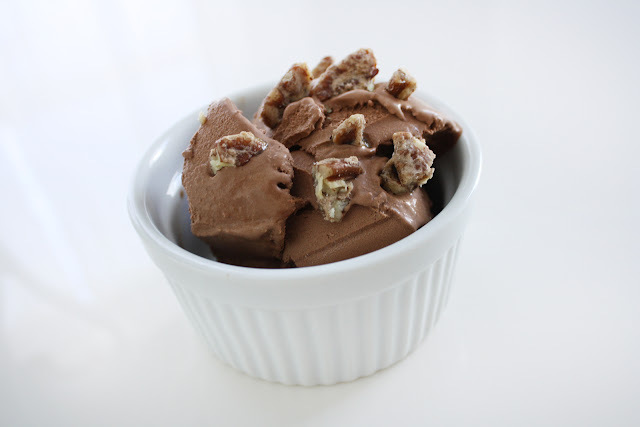 Chocolate sorbet with candied pecans. Oh my. Image by MadeByGirl. OMG! This looks delicious! Where's the recipe?